This week’s new and noteworthy apps on the App Store is very special for Cynapse. 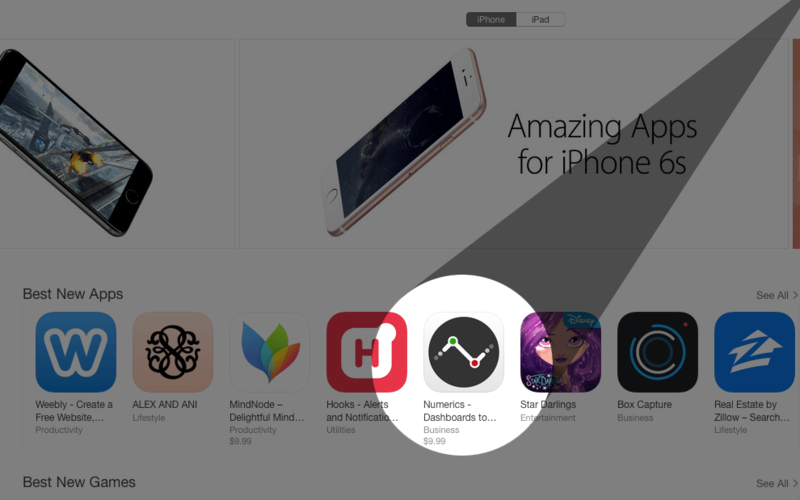 Our app Numerics has been chosen as one of the “Best New Apps” by Apple. We are ecstatic and honored to be featured alongside some of the best apps on the App Store. Numerics is currently being featured as a best new app in US, Canada, Australia, India, Italy, Spain, Brazil and 81 other countries. Best of all, this feature comes right after our latest Numerics release that adds support for all the new iOS 9 productivity features and the new watchOS 2. Split View, Slide Over & Spotlight Search are now available with Numerics and the re-designed Numerics for Apple Watch introduces complications for Modular, Utility & Mickey Mouse watch faces. Read all about the latest release here. To celebrate this achievement, we have dropped the price of Numerics by 50%! If you are thinking of getting the app, now is the best time! !